Quality language teaching in quite possibly the world's most amazing city. Pick what suits you best from our full range of Spanish courses in Barcelona or try one of our online Spanish courses. Founded in 1972, IH Barcelona is one of Europe's leading language and teacher training organisations. The quality of our teaching is guaranteed by the fact that we only use fully trained native speakers who have been carefully selected to match the high standards we set ourselves. Timetable	Monday to Friday, 09.30 to 13.30, with a twenty-minute break. It is also possible to combine an intensive Spanish course with a DELE exam preparation course, a business Spanish course, an arts and crafts course or an online Spanish course. Combine your 4-hour intensive Spanish course in the mornings with an additional 1.5 hours of Spanish on different aspects of Spanish culture and history, making a total of 26 hours of class a week. Duration	Enrol for as many weeks as you like. Barcelona is undoubtedly one of the world's most beautiful and inspiring cities. The following two course programmes combine your Spanish course with the opportunity to explore your creativity and develop your artistic techniques and skills at one of Barcelona's longest established art schools. This course combines an intensive Spanish course in the mornings with a series of four 2-hour workshops, each of which introduces you to a different set of artistic skills, as used by such world famous Spanish artists as Gaudi and Picasso. This workshop consists of decorating a porcelain dragon figure (designed by Gaudi) which has previously been fired at 1200º C. The decorative mosaic technique often used by Gaudi is also explained in detail. You will study the many amazing possibilities of working with molten glass and produce your own a plate or bowl, decorating it as you wish. Following a demonstration of the art of 'throwing' a pot on a wheel, you will have the opportunity to produce a bowl, plate or jug of your own. This workshop focuses on how to make sculptures appear well balanced and less static than is often the case. You will then have the opportunity to make a Picasso-style Spanish bull. In collaboration with our partners PreSoccerTeam, we offer this amazing programme in Barcelona (possibly, given the runaway success of Barça in recent years, the best place in the world to learn how to coach a winning soccer team). The programme includes an intensive Spanish course and a Spanish for Football course (both at IH Barcelona) and a vocational training football coaching programme (at a Barcelona sports college). The football coaching course combines theoretical content with practice sessions at some of the best local sports companies and clubs. See below for details of accreditation for the coaching course. If you already have a sufficient level of Spanish, you can enrol in the express programme. Before starting the coach course in mid-September, you will do a two-week Spanish course followed by a two-week Spanish for Football course. Registration, classes (General Spanish + Spanish for Football), level test, all course materials, education counseling service, certificates, program of social and cultural activities (approx. 6-10 hours/ week), access to all the school facilities, free online Spanish courses. Tuition and practice sessions at local sports companies and clubs. Live with a family in Barcelona and improve your Spanish in exchange for teaching them YOUR language! The programme is designed for young people who want to spend 1-3 months in Barcelona, living with a local family in exchange for providing the family members with basic language tutoring. The language tutor's duties are to spend 15 hours a week providing formal or informal language training to the host family members, which may include young children. Tutoring normally takes place from Monday to Friday, at times to be agreed with the host family. Live with a family in Barcelona and improve your Spanish and cultural knowledge! During the first 3 weeks of the programme, you will take an intensive Spanish course with us in the mornings (09.30 to 13.30) and work 20 hours a week as an au pair. Once your Spanish course has finished, au pairs will be expected to work for 25-30 hours per week. Duties will involve looking after young children and doing light housework. The exact timetable and duties will be agreed with the host family but you must be prepared to fit in and be flexible. 3-week Spanish intensive course (or longer) followed by 1–3 months working as an au pair, if you come in the summer, or 6–12 months if you come at another time of year. As for our intensive Spanish courses -- at any time of the year, in other words. Please note that we normally require a minimum of 3 months in order to organise an au pair placement in or around Barcelona. If you are a mature student, you are of course always welcome to join any of our Spanish courses. However, if you prefer to study and socialise with people of your own age, and are over the age of 50, we have Spanish courses specially designed for you. The course also includes a special programme of visits to places of interest inside the city, a full-day excursion to the Costa Brava, Figueras and the Dalí Museum, and a meal in a typical Barcelona restaurant. Our part-time Spanish courses are designed for people who are living and working in Barcelona and don't have the time available to take the more intensive course. The extensive course consists of 4 hours of class per week with each course lasting 10 weeks (a term). The minimum age is 16, clases sizes are on average just 7 or 8, with 12 being the maximum. You have a choice of days, either Monday and Wednesday or Tuesday and Thursday, with a choice of times for your classes. The courses focus on preparing you to take the DELE exams. You have access to past papers and the opportunity to develop and practise specific exam techniques. During the first week of the course, we advise you which level of the exam we think you should register for, in order to ensure a successful outcome. 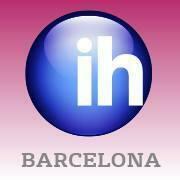 You can register for the exam at IH Barcelona. Timetable	Monday to Friday, 09.30 to 13.30, with a 20-minute break. If you do not yet have Intermediate Spanish, you can take an intensive course and a DELE preparation course afterwards. The intensive course will provides with the opportunity to develop your overall level of competence and the DELE preparation course will provides the skills required to ensure a successful outcome in the exam. For beginners, the combination should be a minimum 8-week intensive course, followed by the 4-week DELE course, to ensure that you pass the DELE "Inicial" exam successfully. If you need your Spanish for work, you may find it interesting to combine an intensive Spanish course with one or two hours of extra private classes in the afternoon with a focus on Business Spanish. The aim of the Business Spanish classes is to help improve your level of competence in many typical work-related activities such as participating in meetings, using the telephone for business, negotiating and selling, making presentations, etc. Optionally, you can also take the Madrid Chamber of Commerce exam. If you do wish to take the exam, you should have a minimum level of B1 or above, and will need a minimum of 20 hours of private classes. Note that while you're taking a face-to-face Spanish course with us in Barcelona, you also have free access to our untutored online courses in our computer room, giving you hours of extra practice for your Spanish! Our individual Spanish tuition courses consist of 1, 2, 3 or more hours of one-to-one classes per day. The contents, times and starting dates of these private classes can be arranged to suit your individual needs. For example, courses can be designed for people who need to develop negotiating skills, presentation skills, telephone skills, writing skills, etc. You can either study entirely in this way or, if you prefer, combine an intensive course in the mornings with 1, 2 or more hours of individual tuition in the afternoons. We also offer similarly tailor-made classes for two students studying together, providing you have similar levels and linguistic needs. If you want to take individual classes together with a friend, the price increase is just 20%. For special, closed groups of younger students, including school parties, or for groups of adult students with particular language needs, at IH Barcelona we can design "made-to-measure" Spanish courses at any time of the year. Prices obviously depend on the nature of the services requested, but we're happy to send you quotations for any specific course programmes you may require. For a tailor-made number of lessons (our full 20-hour a week intensive course, for example), our different accommodation options or your own activities programme please request a quote. You can have as many hours of Spanish class as you wish.